Dream what you want to dream. Go where you wanna go. 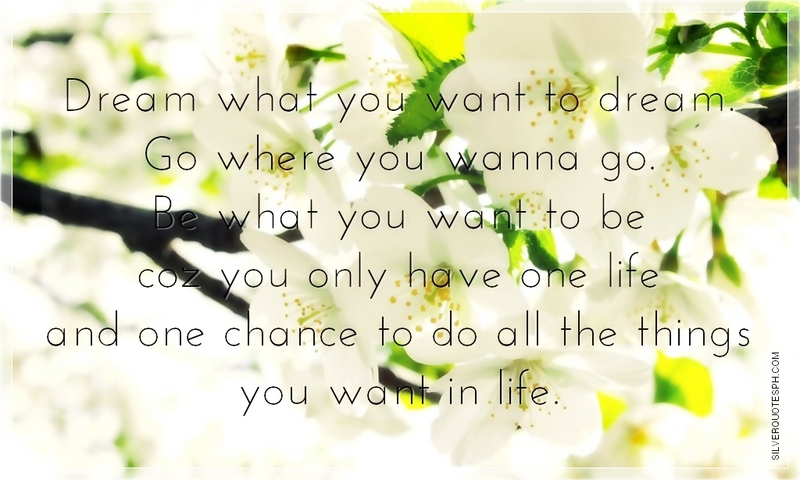 Be what you want to be coz you only have one life and one chance to do all the things you want in life.